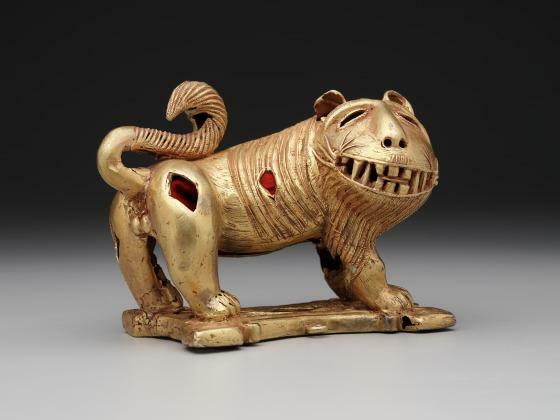 This heavy, hollow cast gold sculpture depicting a male lion originally adorned a state sword ( afena) that was displayed—rather than worn—by the king’s sword bearers on important ceremonial occasions. 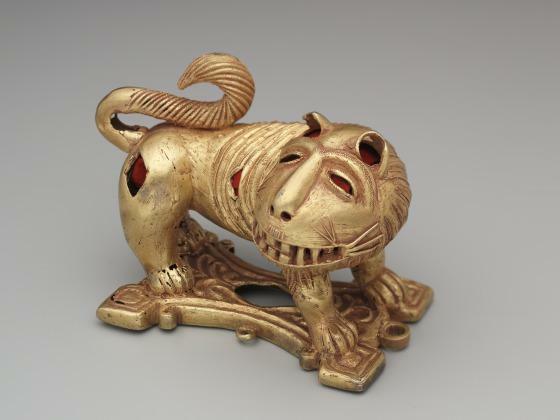 The lion is an emblem for the bravery of the chief. 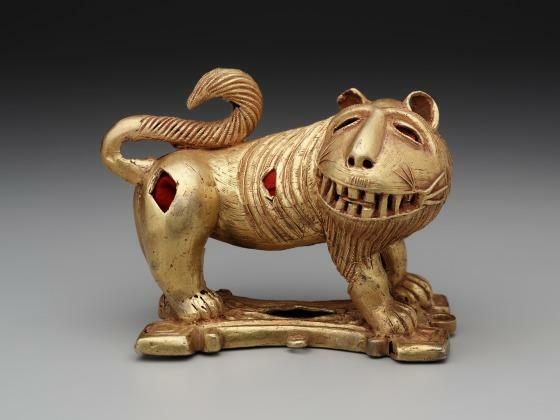 An Asante proverb states, “If the lion has no intention to attack, it will not show its teeth before you,” advising a person to heed the warnings of a chief. 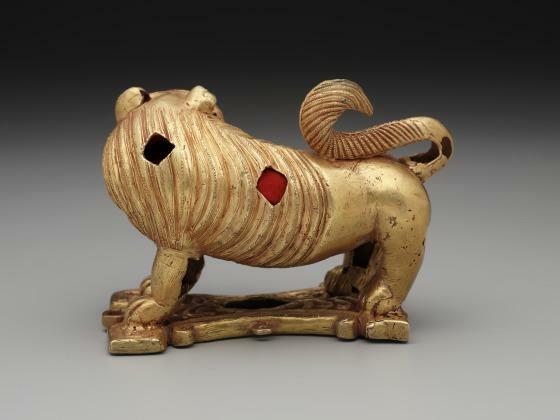 This lion’s teeth are bared. Gold is the sun’s earthly complement; like the sun, the Asante king represents the soul and vitality of the Asante nation. Thus, the Asantehene (king), the chiefs, and other officials wear and carry an abundance of gold.